Teach your kids money smarts with PiggyBot™ a new money management app mobile design especially for youngsters. You can set up an account for each child and see them all from a single screen. Set goals, assign chores, and keep track of IOUs. It's never too early to get your family talking about smart spending, sharing, and saving. Download this fun new app today. It's free! 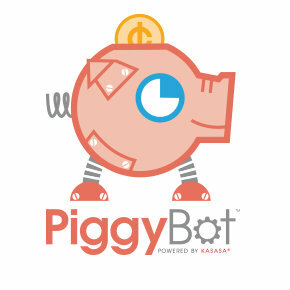 PiggyBot is brought to you by People Driven Credit Union. Not available at the big banks. For good reason.